The crocodilians indigenous to Cozumel are the American Crocodile, or Crocodylus acutus and Morelet’s Crocodile, Crocodylus moreletii. 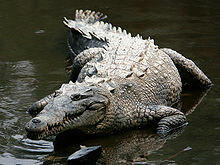 The adult C. acutus is light gray in color and have a pointed snout, much narrower than an alligator. The adult C. moreletii is a dark gray-brown and has a much broader snout; however, they are crossbreeding with C. acutus, so now there is a range of snout widths on the island. Both are less aggressive than the Nile and Australian crocs. They can swim around 20 miles per hour in short bursts and run on land at about half that speed. The C. acutus thrives in salt water. C. moreletii prefers the fresh or brackish water inland. 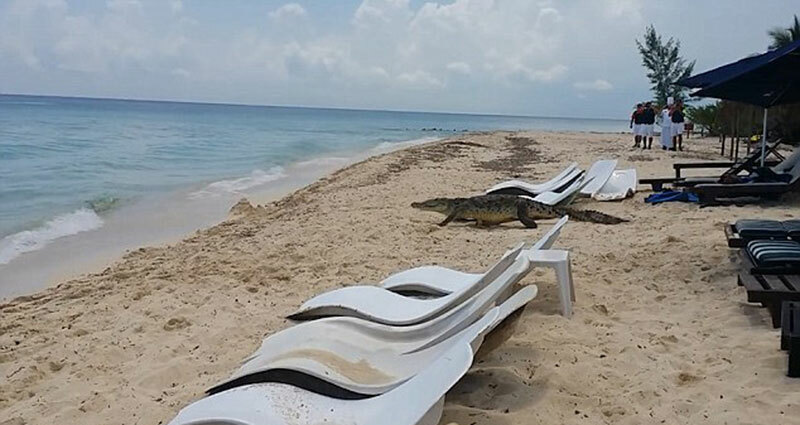 On Cozumel, the crocs are protected by law from harassment and hunting. 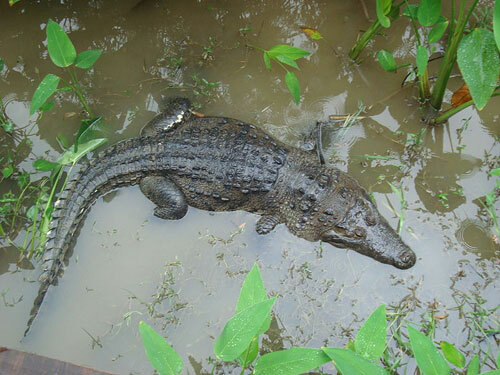 The C. acutus can grow to over 20 feet long and weigh over 2,000 pounds. C. moreletii doesn’t grow much more than 9 feet, but that is still a sizable animal. These reptiles have changed little in over 200 million years. The adults lay around 60 eggs at a time which will take around three months to hatch. The babies eat insects and frogs, but quickly graduate to fish, which will remain their primary food, though they will eat anything that they can catch in or near the water. They can live to be over 70 years old, sometimes reaching 100.